One of the things I thought about when I set myself the goal of breastfeeding Benjamin until a year old, having struggled to make it to six months with his older sister, was how I would still be able to go out and live my life around feeding. One of the things I found frustrating when breastfeeding my older two was how limiting it was at times. Expressing is not always an option for everyone, some people find it difficult, but for me it’s made a big difference in being able to stick at breastfeeding. We reached the ten month mark last week and we are still going strong. Benjamin will feed from me a few times a day, alongside his three solid meals, but if I am going out, or need a bit of a break, for some self care, I will express a bottle for Ed or my mum to feed to him. 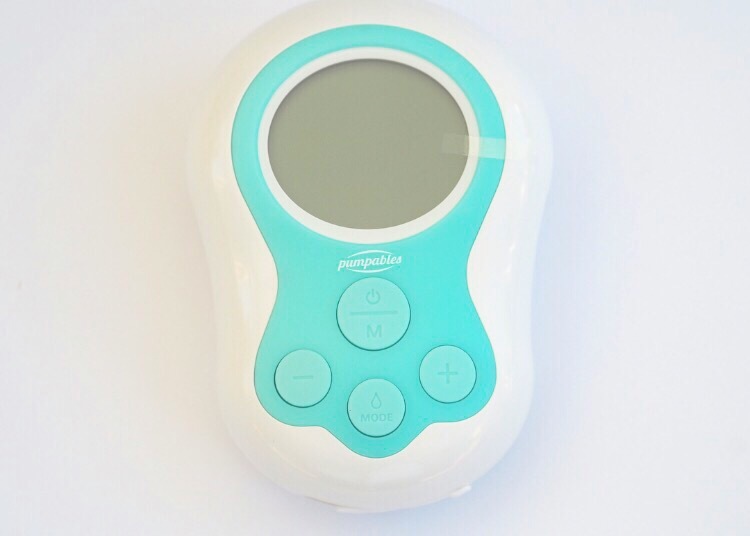 When I was pregnant, I bought myself an electric breast pump as I knew I needed something more powerful than the pretty useless manual pump I had with Carly. 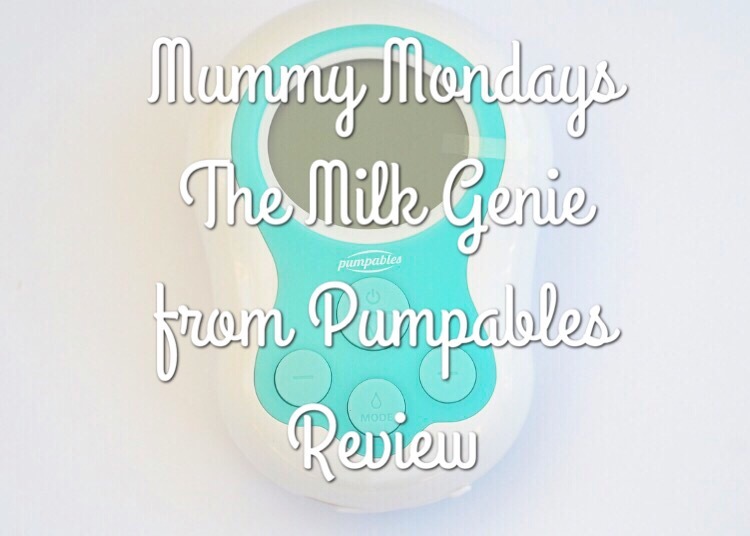 My breast pump has served me well and I have no issues with it but it’s always nice to try out something new and I’d heard really good things about the Pumpables brand so I was happy to compare their Milk Genie pump with my existing one. 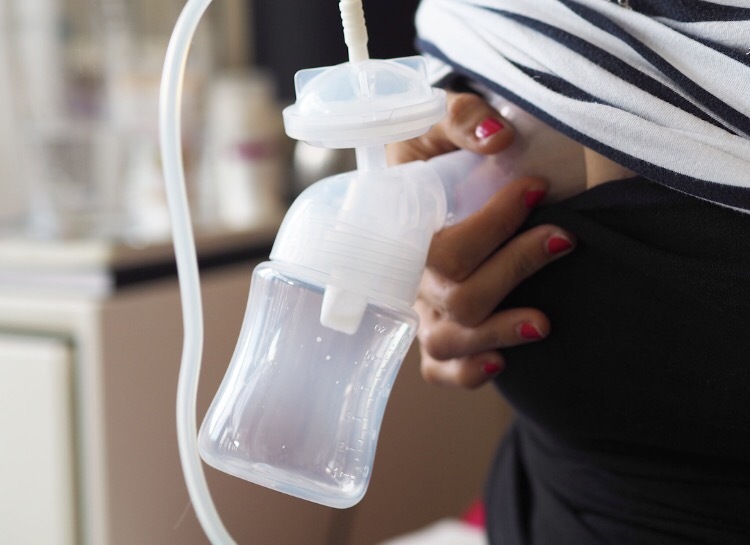 The Milk Genie is a double pump, so it comes with two sets of bottles, teats, tubing, valves and the breast shields. I personally don’t pump from both sides at once, being used to a single pump. Instead I have the second set to hand so, should the first set go missing or deteriorate over time, it saves buying a brand new pump. I found that it was a little fiddly to set up initially, although this was mainly because I had managed to lose the manual(!). There are a couple more parts than my other pump and, as you can imagine, going from one to the other was a little confusing. I quickly got the hang of it though. The Milk Genie is Australian, and it came with the attachment on for a US plug. This wasn’t an issue at all as they also include several other adapters. I simply slotted the US plug off and the UK one on and it was good to go. Something that struck me right away when I started using the milk genie was how quiet it is. In comparison to my other pump, which can be fairly noisy depending on which setting it is on, this pump was definitely less noisy, even on the highest setting. There are several speed settings on the milk genie, which means that you should be able to find one that mimics your baby easily. For me, I found number 4 the most comfortable, but it’s most likely down to personal preference. The pump is also able to remember your favourite setting, to make things easier when using it subsequent times, but I haven’t worked out how to do this due to the missing manual. I found it really good that the pump came with three different sized breast shields, which means those with bigger or smaller breasts will find a size that’s comfortable for them. I found the fit much more comfortable than my other breast pump and I’m sure it was down to using a better fitting shield. I absolutely love that the pump come with a rechargeable battery, making it portable. This has been a game changer for me. With my other pump, I took it along to my hen party in Bath earlier this year but hadn’t thought about the fact I needed a power source to use it. I ended up having to sit next to a plug in the restaurant pumping as discreetly as I could whilst being effectively plugged in at the mains! With the Milk Genie this wouldn’t be an issue! In terms of how much milk I was able to express, I managed to get 6 ounces in ten minutes. This is around the same as with my other pump. Cleaning the pump is simple – the parts all come off and can be be washed, sterilised and put back together again. Overall I definitely think the Milk Genie breast pump is worth a purchase. It’s good value for money for a double electric clos s system (more hygienic than open) pump, it works well and is nice and discreet, which is always a plus. I will still be using my other pump as well, as I’m a bit of a creature of habit, but I’ll be taking the Milk Genie along to Santorini with me as it’s less bulky and obtrusive and can be used when we are out and about. 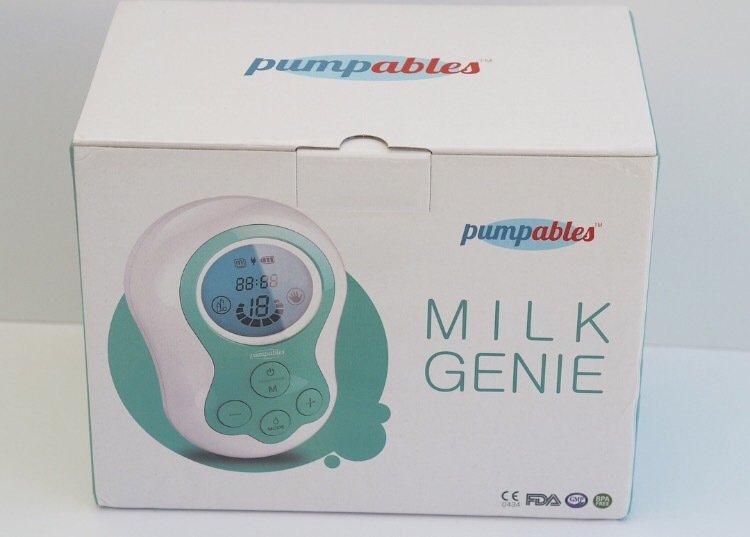 If you are looking for a breast pump which will be useful alongside feeding I would recommend the Milk Genie, its lightweight, looks nice and works well. 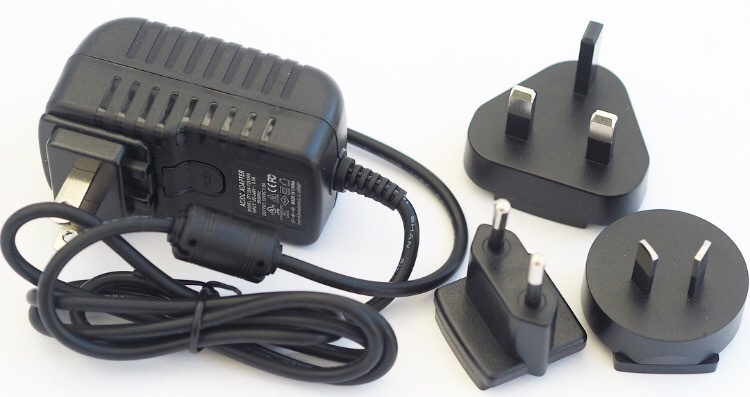 It can be purchased from Pumpables for £108 with free shipping to the UK. 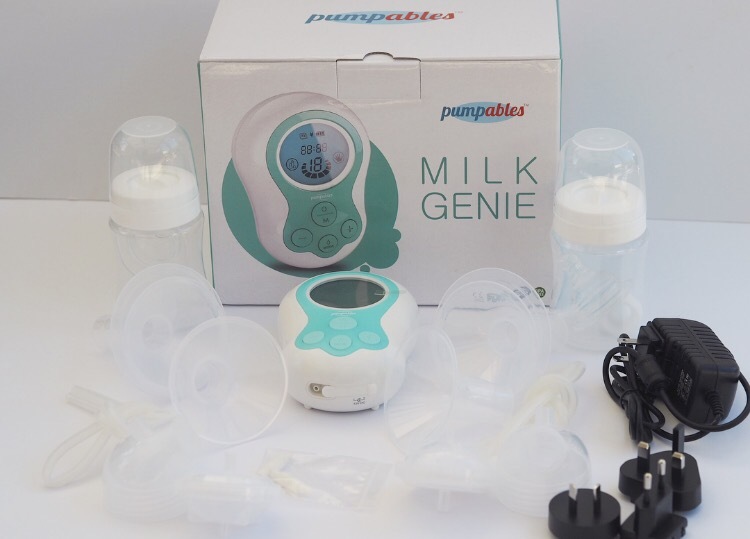 I was sent a Milk Genie breast pump from Pumpables for the purpose of this review, however all thoughts, opinions and photos are my own. Expressing felt like such a long time ago yet I was still doing it this time last year. Useful post for those exploring all the options. My wife hated the electric breast pumps. Well done. You are closing in on your year target. Sounds like a great breast pump! I struggled with pumping but the electric pumps are worth the investment. This is Kathleen from Pumpables 🙂 I’m so glad you love the pump!